Goof Off II is a water-based, low odour version of the original Goof Off. It is environmentally safe, pH neutral and non-corrosive. Goof Off II is particularly effective on removing paint, grease, grim from clothing prior to washing. A water-based, low odour, environmentally safe, pH neutral and non-corrosive cleaner. Goof Off II is particularly effective on removing paint, grease, grim from clothing prior to washing. Also good for other messes around the house, office, garage or cottage including grime, grease, wine, glue, gum, crayon, etc. and works the first time. Fresh Products Lime Fresh extra strength dish detergent booster fights the toughest film, residue and hard water spots, and leaves your dishes and glassware sparkling clean. Our formula powerfully combats stubborn film and residue and is designed to work in all hard water conditions. The extra strength power works on even the toughest problem areas. Lime Fresh acts as a powerful shield to prevent the minerals in hard water from attaching to your dishes and glassware and it boosts the cleaning power of your phosphate free detergent. Receive up to 40 powerful applications in a single package and protect your dishes with our Phosphate free, environmentally friendly and biodegradable dish detergent booster. Lime Fresh is septic-tank safe. Goof Off<sup></sup> cleans the tough messes ordinary cleaners can't. It works the first time, removing the messes including adhesives, ink, markers, scuff marks, stickers & decals, tree sap, nail polish, and more. Ideal for most hard surfaces. 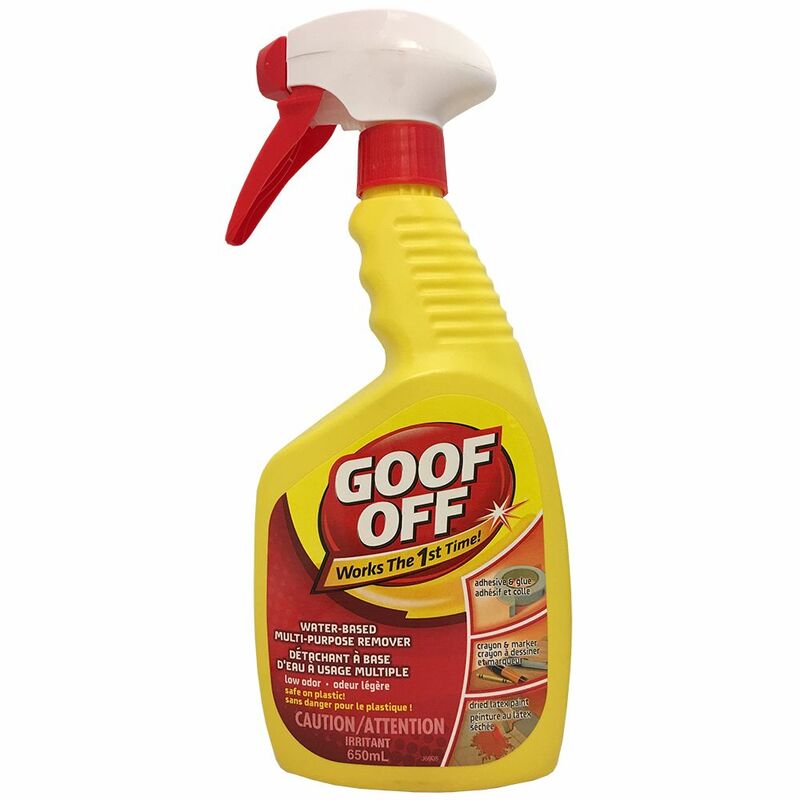 Goof Off Spray - 22oz (FG644) Goof Off II is a water-based, low odour version of the original Goof Off. It is environmentally safe, pH neutral and non-corrosive. Goof Off II is particularly effective on removing paint, grease, grim from clothing prior to washing.